The Woodlands Project was a youth-led community arts project exploring the evolving and complex relationship between our natural and urban worlds. 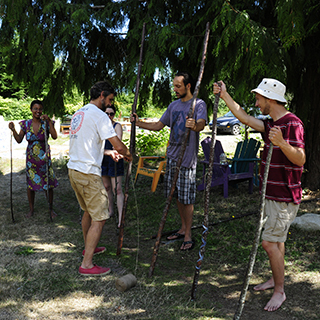 This creative engagement project involved youth (between the ages of 15 to 25) collaborating with a wide cross-section of community members including children, professional artists, David Suzuki Foundation scientists, Emily Carr students and the greater community. 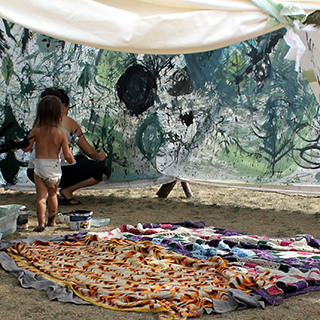 The Woodlands Project produced a children’s art and nature based camp, and a large-scale creative engagement installation at Synchronicity Festival. 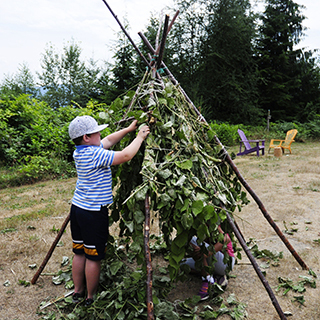 Youth also presented two multi-media art installations – in Vancouver and Gibsons – that explored the relationship we have with the natural world in and around urban environments. 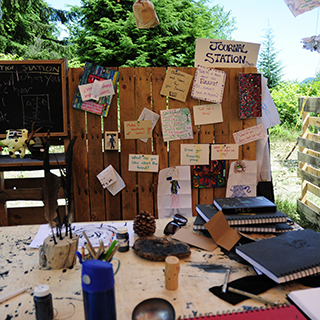 The Art Farm hosted a week-long children’s art and nature camp. 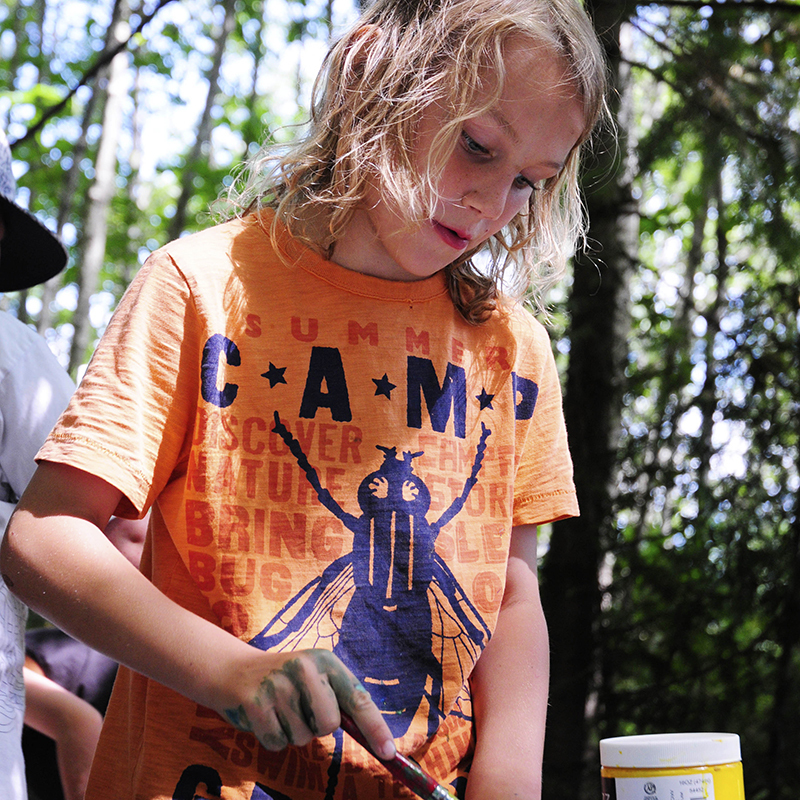 All curriculum and activities explored the theme of the woodlands with the majority of time spent outdoors moving throughout the Art Farm’s beautiful 5-acre forest. Programming and facilitation was coordinated by a team of youth, who had the opportunity to consult with a professional artist mentor. 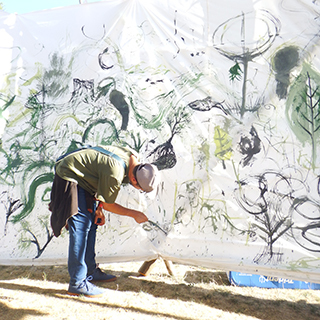 For this project, the emerging youth artists worked with a professional artist to design and build a large scale painting pavilion for community engagement at Synchronicity Festival in Gibsons, BC. 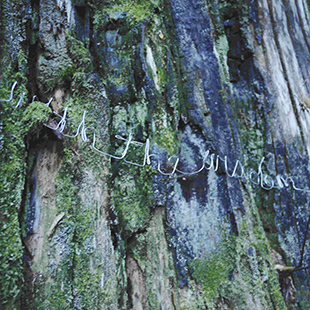 The pavilion was built from found and natural materials including feather paintbrushes used by community members to decorate the inner walls. 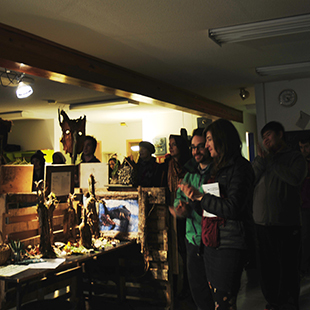 After six months of collaboration with local artists, children, scientists at the David Suzuki Foundation, and a group of students at Emily Carr University, youth produced an art installation and project showcase. 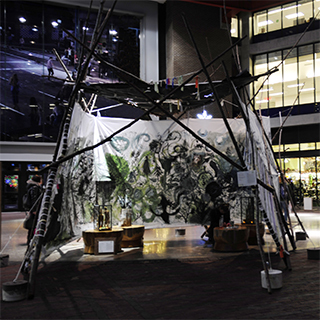 The show, titled Pieces of a Forest, was displayed at the Arts Building in Gibsons, and at the Woodward’s atrium in downtown Vancouver.